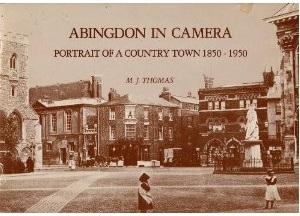 For anyone curious about life in the town of Abingdon, this is a splendid - largely photographic - record which reconstructs everyday life in the town over a 100 year period. The book contains over 120 black and white photographs, and makes for an utterly fascinating social history document. This is an expertly curated collection of photographs, put together originally in the 1970s under the expert eye of Judy Thomas on behalf of the Abingdon Area Architectural and Historical Society.